Let’s face it, if you are a dog parent, you will eventually need to help your dog get up into a car at some point in their life. Furthermore, since there so many different sizes, shapes, and physical conditions when it comes to dogs, this simple act can be challenging at times. 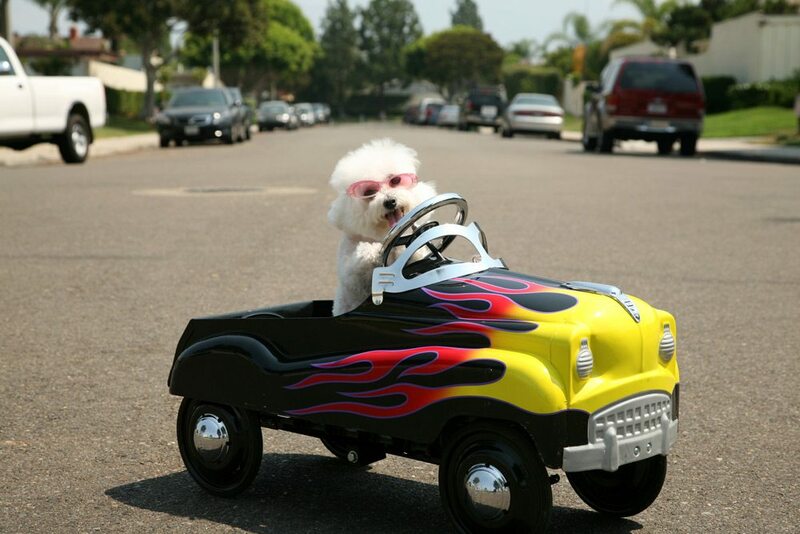 As professional dog walkers and pet sitters, we often are asked to help parents get their furbabies up into a car. Here are some general methods we use when performing this task. This is evident, and yes as pet sitters we are often tasked to lift dogs into cars at a time. But, again, there are many different shapes, sizes, and weights of dogs so this method can often be challenging for some people. Lifting harnesses can come in handy here. Make sure to discuss your options with your vet before you purchase a harness, though. These harnesses, in essence, help to distribute your dog’s weight better. This makes it easy on the both of you. With puppies, it often isn’t about the weight. We all know that puppies can often be “wiggly.” Therefore, you can try the following method. Start by putting one hand around your dog’s chest behind his front legs. Use your other hand to cup their back legs and bottom. Some people choose to lift a puppy like their mother would do. This is done by grabbing the loose skin on the back of the pup’s neck with one hand and using the other hand to support pup’s tailbone. As professional pet sitters, we try other methods before the “scuff of the neck” method because it can be seen as inhumane. We, however, also advise you to consult a vet on the best method of lifting a puppy. Dog stairs and ramps can be amazing tools in assisting your pooch into the car. However, dogs can sometimes be uncomfortable around ramps and stairs. As professional pet sitters, we have seen many dogs that are hesitant to scale stairs. If your pooch is afraid to scale the doggie stairs, you can try a few things. Let’s say you’ve just bought your doggie stairs; you’ve brought them home, and the first thing you do is try to get your pup to walk them. Dogs can often be unsure about new items. So, instead of rushing, try leaving the stairs out for awhile before you ask your dog to start learning to scale them. This allows your dog to inspect the stairs and become comfortable with them in their own time.